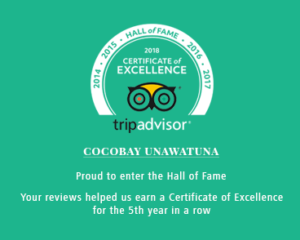 "The hotel has an ideal location with its a OWN PRIVATE BEACH"
"The hotel has such a tranquil feel and boasts a stunning position overlooking a PRIVATE BEACH"
Greeted by the serene blue waters of the Indian Ocean, your relaxation begins the moment you arrive at the CoCoBay Unawatuna. 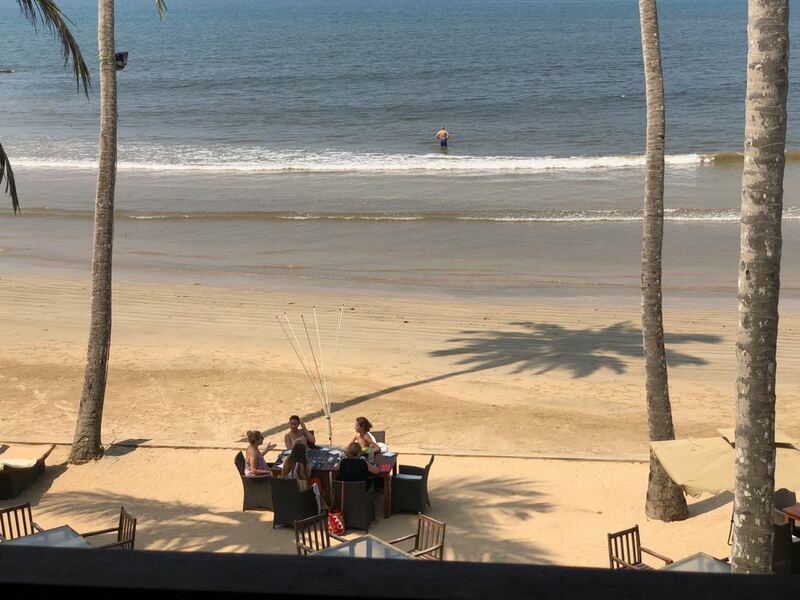 This beach hotel in Unawatuna, located in southern Sri Lanka, ensures a matchless Experience with its obliging concierge and a breathtaking view of the ocean with its own exclusive beach and spectacular location to make your holiday in Sri Lanka a dream come true. 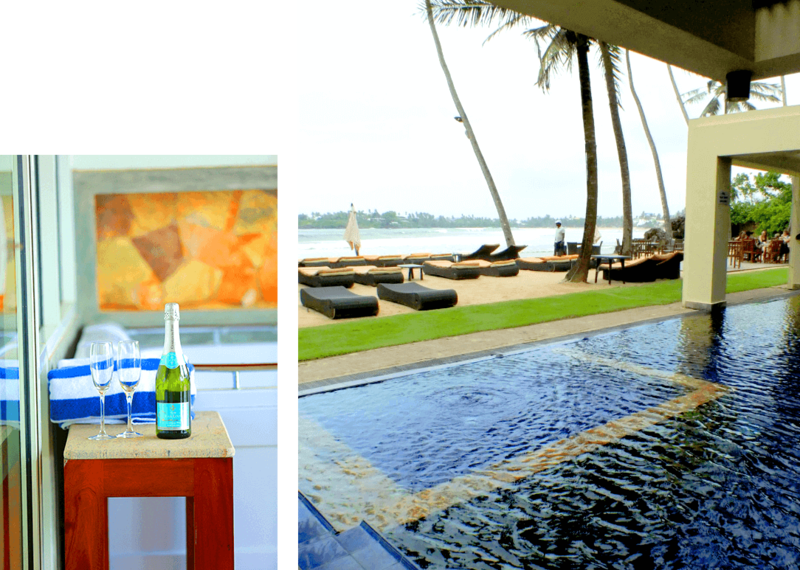 Greeted by the serene blue waters of the Indian Ocean, your relaxation begins the moment you arrive at the Coco Bay Unawatuna. We look forward to seeing you at our own little corner of paradise in Unawatuna, with our CoCoBay signature welcome drink; a delightful combination of pineapple, lime, ginger and mint aroma completing with a sweet flavour of honey providing the definitive refreshing experience. 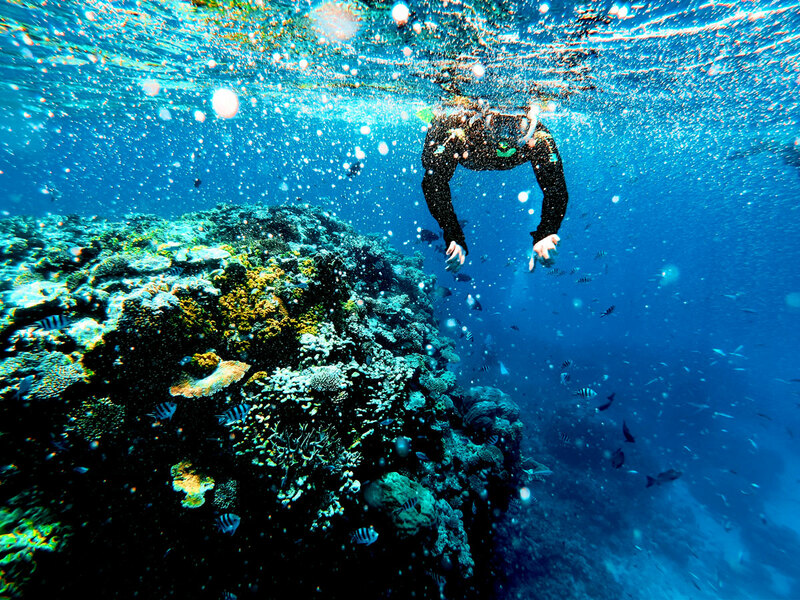 Our still blues are maintained with utmost care to let you dip in to the waters anytime you have a craving for a swim. Unawatuna’s premier lounge bar “CHILL OUT” serving the very best of wines, selection of beers, spirits and exciting cocktails. We look forward to seeing you at our own little corner of paradise in Unawatuna, with our CoCoBay signature welcome drink, a delightful combination of pineapple, lime, ginger and mint aroma completing with a sweet flavour of honey providing the definitive refreshing experience. 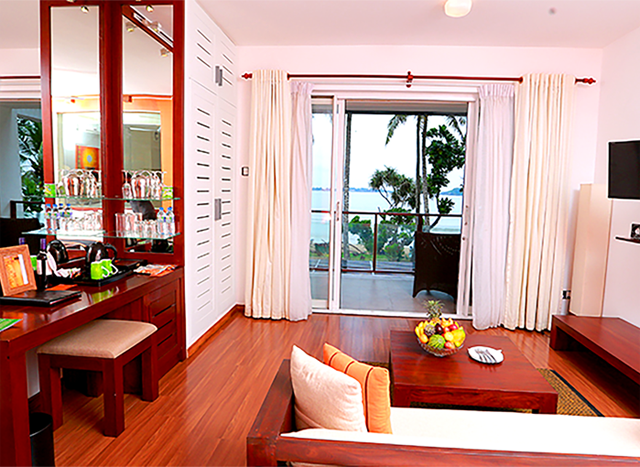 Unlike the other hotels in Unawatuna, all our exclusively designed deluxe rooms located on the 1st floor provide sensational views of the Indian Ocean from any part of the room, even while you are enjoying a Jacuzzi bath. 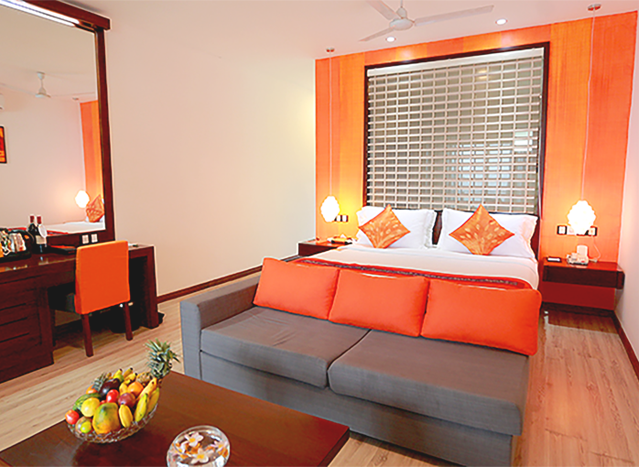 All rooms are comfortably furnished with Extra king sized double beds and designer furniture. The large balcony, ideal for sipping your favorite cocktail while watching magical sunsets are furnished with day beds and comfortable outdoor furniture with dining facilities. The two stylish master suites are located on the first floor and come with a large balcony overlooking the picturesque beach with day beds and private dining facilities. 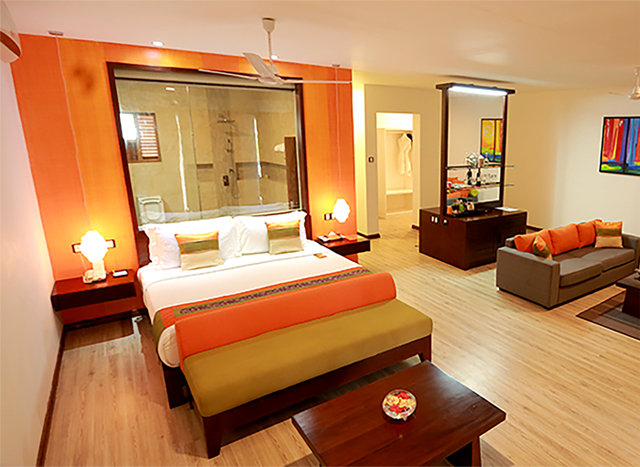 All rooms are comfortably furnished with a two poster double beds, with an en-suite bathroom with Jacuzzi and an exclusive in room dining menu, truly differentiating from the other hotels in the Unawatuna beach area. 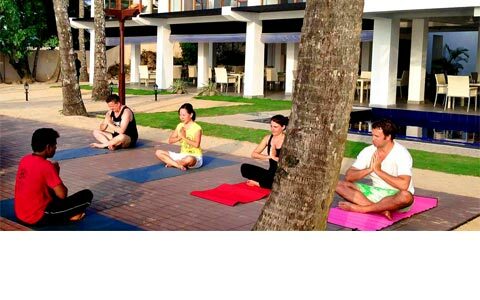 The three exclusive Aqua Romance rooms at this accommodation in Unawatuna are beautifully designed and furnished with all facilities including a private plunge pool just by the ocean and a Jacuzzi in the bathroom. This is an amazing place to spend time with a special someone on a romantic starry night. 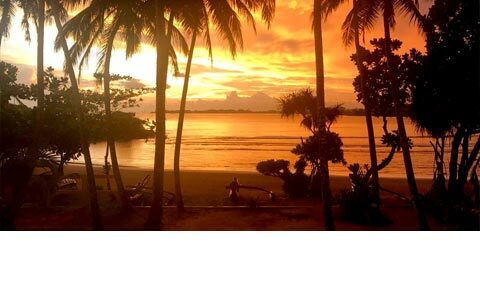 Unawatuna is a picturesque fishing village close to Galle and a major tourist attraction in Sri Lanka, famous for its stunning coastline and corals. It is a suburb of Galle, about 3 kilometres southeast to the city canter and approximately 108 kilometres south of Colombo. Located on the quieter side of the famed Unawatuna beach away from the hustle & bustle of the main tourist strip crammed with Unawatuna Hotels, the Coco Bay offers you a quiet and serene atmosphere with catamarans dotting the early morning sea, monkeys on trees and crabs on the beach to keep you company. 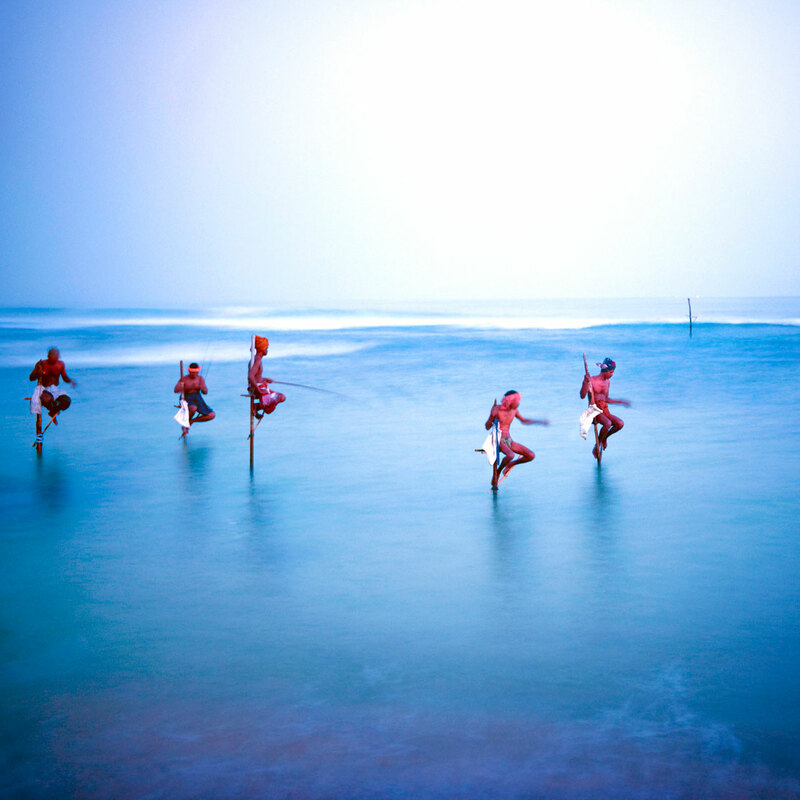 It is in close proximity to some of the most amazing sightseeing locations in Sri Lanka. 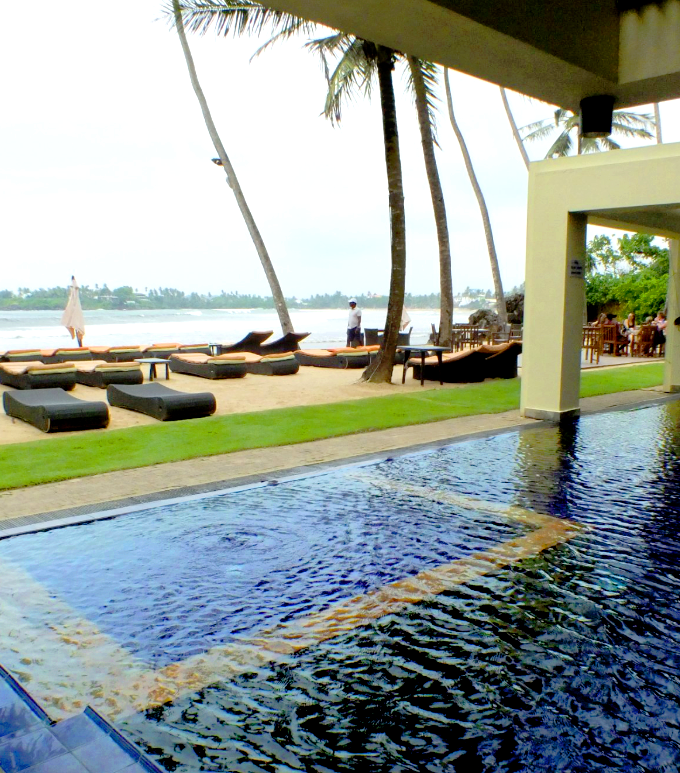 The stunning Coco Bay provides a magnificent view of the Galle Fort across the ocean and stunning sunsets. It is also located a few minutes away from the amazing Galle Fort, a UNESCO World Heritage site with its vibrant shops, bars and restaurants for a quick stroll down these exciting cobblestoned streets. 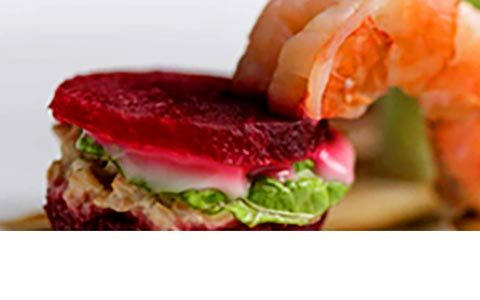 Coco Bay offers guests an experience that is intimate and personalized while providing the highest level of service. 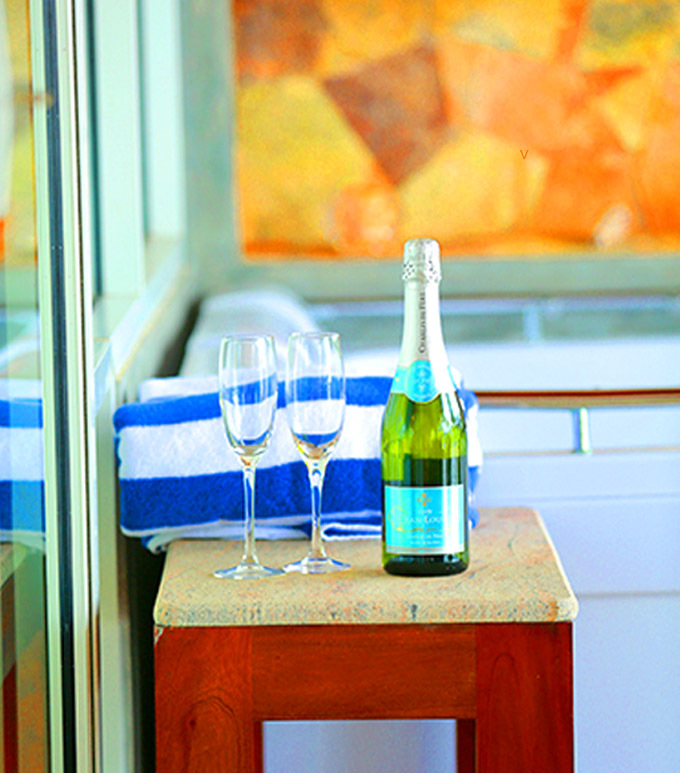 Each room is uniquely designed with an amazing sea view from every angle even while enjoying a bath in the Jacuzzi. The spacious balconies are ideal for sipping your evening cocktails while watching the magical sun sets and furnished with comfortable daybeds and other designer furniture. Jungle beach which is in walking distance is amazing for snorkelling with clear blue waters and many species of tropical fish. Snorkeling gear available for hire.